The ancient Greeks used to consider the planets “wandering stars” (that’s what the word 'planet' means in Greek), because their trajectory in the night sky was never uniform and circular, like the normal stars. Planets ‘wander’ during the night – they speed up and slow back down, they change trajectories, they end up in different spots from where they started from – or at least they seem to from our earthly perspective. 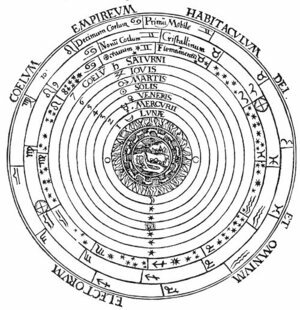 It wasn’t until Kepler and Copernicus came along that we learned that the planets’ motion is in fact uniform, only it goes along an elliptical path, not a circular one, and it is centred around the sun, not the Earth. This came to my mind as I was watching Rahul Dravid bat in the first innings of Monday’s match, against the Kings XI Punjab. His team’s entire batting performance was defined by Dravid’s 66, with 9 wickets falling around him, 5 of them to ducks, and only one other player in the team getting to double figures. In my pad, I made a note to maybe give Dravid a Star among stars… award later, except that this kind of innings went beyond any typical starry highlight-reel collection. It wasn’t the work of the brightest star in a league full of stars. This was something different, it didn’t behave exactly as predicted, it was like… a wandering star. 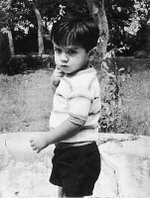 Dravid himself was the one wandering… he was wandering through the crease, wandering through every playing moment trying to find his niche in this strange new format. It’s becoming fascinating to watch all the old-school textbook players trying to adapt to the new style of play, and their attempts at survival have become one of the most engrossing sub-plots of the season so far. This phenomenon is obviously more pronounced in a team like Bangalore, with its revolving door crew of aging, Test-ready plodders, and the tension of the team's imbalance inhibits no one player more clearly and transparently than Rahul Dravid. Dravid has always seemed a player designed for a struggle. Battling alone on an unforgiving pitch; trying to contain a rampant opponent set on enforcing a follow-on; batting out the dying of the light on the fifth day of a Test. (That’s what Walls are for… to keep things out; to protect against external challenges.) He may have soared higher stylistically and/or aesthetically in other innings since, but that forgotten 180 in Kolkata in 2001 was probably the most memorable in my eyes (even though I didn't even get to see it at the time) -- complex, multi-layered, and utterly cathartic for the man and his team. As a spectacle of human emotion, it was without par. Which is something it’s starting to have in common with Dravid’s recent campaign in the IPL. It may have been because it was so late at night, or it might have been the generous glasses of bottom-shelf Chardonnay I had drunk a little earlier in the evening, but Dravid’s innings against Punjab was one of the most riveting knocks I must have seen in years. A good old-fashioned battle in the middle, wickets tumbling without respite, and a trusty old legend at one end, on full alert during every delivery, trying his hardest to manufacture a few extra radians of space between the fielders with nothing but the unchanging palette of orthodoxy. In the end, you could see how important an innings like this was for Dravid. He’s not like Jacques Kallis, drifting along on auto-pilot, just counting his cash and the days before he can go back to collecting meaningless hundreds against Bangladesh in front of a few hundred punters in the stands and some disinterested sunbathers on the hill. Dravid is not struggling for a place… he’s fighting for meaning. What does it mean to be a cricketer in this age? What does it mean to be an old-school player in a game for the new, the young, and the unschooled? If you think this league is just a hit-and-giggles little carnival attraction for some petty cash, look at the way Dravid lashed out after getting out, banging the bat wildly against the ground on his way out of the field. Has he ever looked as disappointed about losing his wicket as he did after that one? I hope Dravid continues in his wanders this season, and I hope it one day leads him to wander straight onto that perfect spot on the balance, where no one can question or doubt him, but simply regale. And then, just then... his work will be done. Since Robin Uthappa has shaved racing stripes on to the side of his head, are we far away from the establishment of the first IPL gangsta generation? Will there be turf wars? And diss records? I'm positively giddy in anticipation. Robin Uthappa had a mohawk when he landed in Australia earlier this year.. he meant business. .. Dravid needs one for the rest of the IPL tourney.. Too many critics jumping on India's best test batsman ever..
D.S. Henry - a cracker of a write, very moving. And as layered as Dravid. In addition to Sehwag, RD's the only other Indian player, i'm looking out for in the IPL. They earned it, yet they gotta keep earning it. The thing is, if Dravid wasn't out proving a point, he wouldn't be Dravid. His whole career was built around proving some point or other -- that he wasn't the typical Indian batter, that he could bat away from home, that he wasn't too slow and stodgy to play one-cricket, etc. Yeah, sometimes he looks bad T-20, unbecoming... but that's part of the risk of following him as a fan. And it's what makes the victories so much sweeter in the end. Thank you for creating such a wonderful programme. I have obtained a variety of snail mail penpals through this wonderful website. You have brought penpalling back to me, which l have not done since l was a teenager. Thanks for the excellent service and its a great website - I was lucky enough to meet some very good people who I now write to a lot and put the world to rights with! Thanks once again. Will confess now that originally was a bit sceptic about the characters on the Page. Now I'm glad I've tried as sometimes one just need contacts with people outside of the every day life's circles and reading interesting and funny e-mail from the other side of the world is refreshing.